The Rolls Royce of Wellingtons. 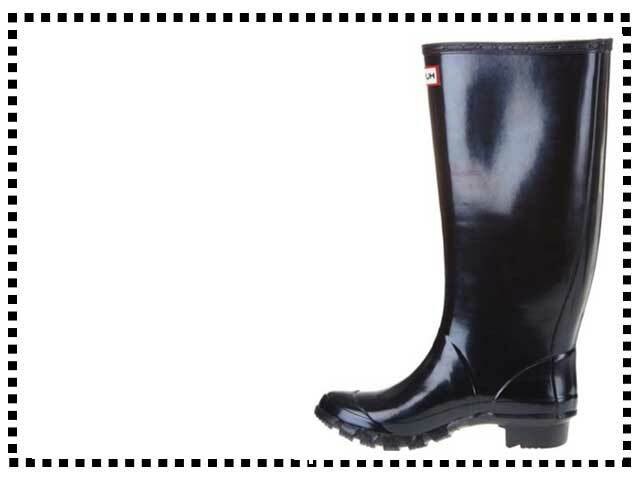 Classic British rain boots made by legendary manufacturers Hunter Boot Ltd. The glossy Huntress is similar to the classic hunter boot but with a wider calf design that is perfect for women with rounder calves. I have quite wide calves and finding a good boot that fits properly can be difficult. These boots are perfect. Quite expensive but well worth the money. They look great and fit my large calves perfectly. I was looking for wide calf rain boots and decided to splash out on a pair of Hunter boots. I am glad I did. Super boots. I love these rainboots, so classy!